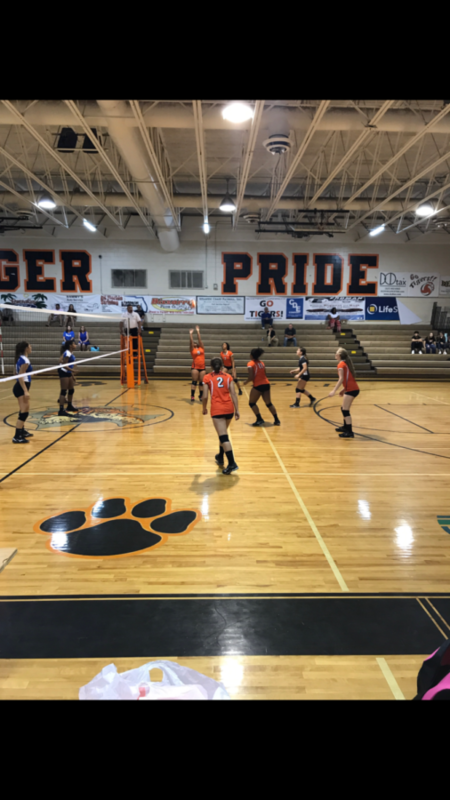 On Thursday night, September 13th, the Cocoa Tigers junior varsity volleyball team faced off against Sebastian River High School. At the beginning of the match, the team cheered each other on. During warm ups, the team passed to one another. Captain Kaiyah Robinson won the serve. Each team lined up in number order on the end lines preparing to stand for the National Anthem. At the beginning of the match, Kaiyah Robinson served four aces, handing the Tigers a four point lead although they lost the ball by shanking a pass towards the bleachers. The game continued remaining close where the score advanced at a rather slow pace. Sebastian River took on a five point lead due to defensive mistakes, which put the score at 17-12. Tigers fought back but SRHS took the first set. In the second set, Avery Lawson served for the Tigers, initiating a six point lead. Ariana Greene brought the team up by making four offensive kills in a row. Their libero, Ryan Sturgill dug up many of the offensive hits from the opponents. She consistently hustled after every ball and even lifted her teammates Tigers took the second set with the score of 25-14. 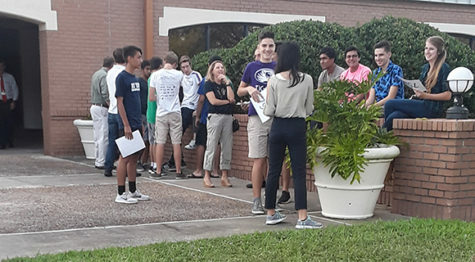 This brought both of the playing teams at a tie, where they would play the third set or in other words the “tiebreaker” game. This game would only last until the fifthteenth point. The Tigers received first, they gave their opponent three points. The next play is where Ryan Sturgill dug the ball, Carolina Reyes assisted the hitter, and Kaiyah Robinson led the point with a kill. 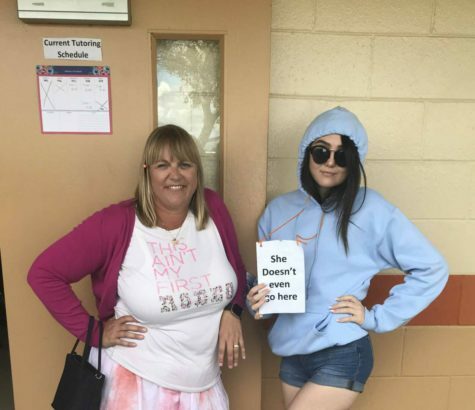 The next server was Sarabeth Smith. She served six times in a row, bringing the score to 7-3. A timeout was called by Sebastian River. 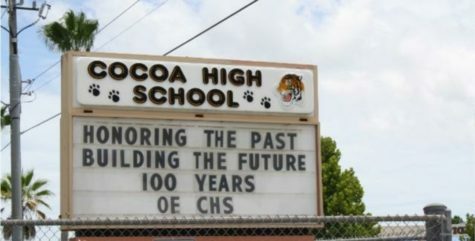 Cocoa did not back down when their opponents fought harder. Each rally lasted about ten to twenty seconds, therefore each team was determined on receiving the win. At game point, Cocoa was up by nine points. Ryan Sturgill led the team to victory by serving and playing her defense. At the end of the match, each team high fived and congratulated each other on a great game. The Cocoa Tigers took the win.